Prof. Baker’s research centres on education, in three different streams. First, she conducts research in the Scholarship of Teaching and Learning, focuses mainly on how to maximize student learning and engagement and nurture skill development in Sociology. Second, and in collaboration with Prof. Mullen (at UTSC), Prof. Baker is conducting a computerized audit study to examine the degree of institutional segregation among Canadian university institutions. Will a (fictional) job applicant be more successful applying to local jobs with a degree from one university, or with another? Third, Prof. Baker explores various patterns in the relationship between gender and education. In her dissertation, she explored how elite single-gender private schools simultaneously create and reproduce class and gender and how these institutional-level processes are accepted or rejected by students. Her data were derived from an in-depth ethnography of two Toronto-area single-gender elite private schools. While Prof. Baker sees research as a crucial component of sociology and an important link to teaching, her interest has always been in teaching. She enjoys teaching and mentoring undergraduate students and introducing them to sociological thinking. 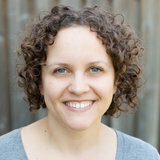 Prof. Baker is a recipient of the University of Toronto’s Early Career Teaching Award. Prof. Baker teaches Introduction to Sociology; Sociology of Education; Logic of Social Inquiry; Sociology of Masculinities; and Contemporary Issues in Higher Education. Mullen, Ann L., and Jayne Baker. 2015. "Participation without Parity in American Higher Education: Gender, Fields of Study, and Institutional Selectivity." NASPA Journal About Women in Higher Education 8(2):172-188. Baker, Jayne. 2016. “Single Gender Education: Reinforcing and Challenging Gender Difference.” Education & Society: Canadian Perspectives, edited by Wolfgang Lehmann. Don Mills, ON: Oxford University Press. Baker, Jayne. 2014. "No Ivies, Oxbridge, or Grandes Écoles: Constructing Distinctions in University Choice." British Journal of Sociology of Education 35(6):914-932. Mullen, Ann L. and Jayne Baker. 2008. “Gender, Race and Ethnic Segregation of Science Fields in U. S. Universities.” Journal of Women and Minorities in Science and Engineering 14(2):159-176.